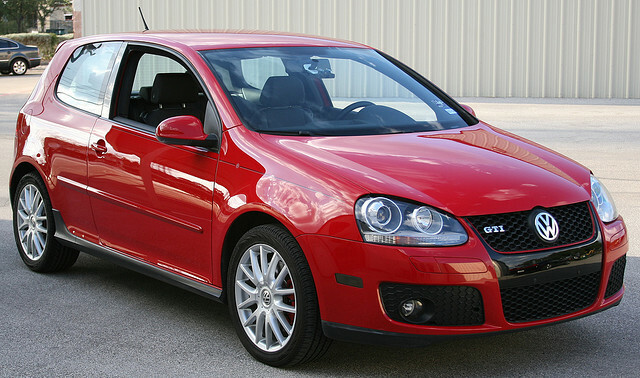 The Volkswagen GTI is one of Volkswagen’s oldest hatchback sports cars. With a turbocharged four-cylinder under the hood, the GTI delivers ample acceleration and power for drivers looking for a quick ride. The optional six-speed automatic shifts quickly and smoothly. The suspension is fine tuned and allows the GTI to handle sharp turns with ease. Thanks to the GTI’s sharp steering and athletic handling, the vehicle is a joy to drive. The interior of the GTI is well constructed, with premium materials. Comfortable seats and ample legroom are positive features as well. The features available for the GTI include a sunroof, proximity key, push-button start, a rearview camera, rain-sensing windshield wipers, a Fender audio system, navigation, forward collision warning, and rear parking sensors.